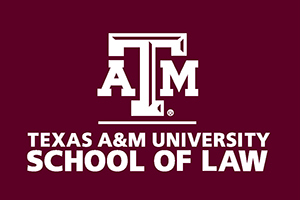 Texas A&M University School of Law seeks to expand our team of law library faculty by recruiting two dynamic and innovative law librarians who can successfully advance library initiatives in one of two specialties. Faculty rank and salary are commensurate with qualifications and experience; each position may be hired as either long-term contract or tenure-track. Excellent benefits include a health plan and paid life insurance; several retirement plans including TIAA-CREF; paid holidays and vacation; no state or local income tax. Funding is available for professional travel and development activities. Texas A&M University, founded in 1876, is one of only 17 triple federally designations “Land, Sea, and Space grant” research universities, and is one of only 62 US and Canadian lead research universities of the Association of American Universities. Texas A&M University is the sixth largest university in the nation. The signature Aggie Spirit captures and embodies the university’s traditions and core values: Excellence, Integrity, Leadership, Loyalty, Respect, and Selfless Service. The university has an enrollment of more than 55,000 students and 2,800 instructional faculty, and over 6,000 foreign students and scholars. Based on Vision 2020, Texas A&M’s goal is to be ranked among the top 10 public universities. International Law Reference: Provides expertise in international law research and augments the Public Services Department’s ability to provide increased research and reference services to faculty and students. This position also aids collection development by identifying appropriate international materials to acquire in both paper and electronic formats. Electronic Services: Leads not only the marketing of the faculty’s scholarship but also advertises the library’s electronic databases and instructs in using these databases. Also participates in reference services to the law school community. This position is the point person for overseeing the law school’s institutional repository of scholarship and its components. This entry was posted on January 22, 2016 at 09:51	and is filed under Uncategorized. You can follow any responses to this entry through the RSS 2.0 feed. You can leave a response, or trackback from your own site.